AMAR KAHANIYAAN: GURU-DEV ARTISTIC BOND ! Hi Folks! It’s been months since I reviewed any classic movie, but then I had little time for watching cinema, and If I got succeeded in plucking some crafty flowers of art from celluloid, I didn't got motivated enough to resonate the aroma in words for the dissection or presentation of that classic piece. So I decided that I should not form boundary within this blog, it should become wide & free from that. And I decided that I would also write about the famous classy characters. Now I'm thinking to open the last door of freedom of my expression in such a way that I can write anything and everything which I seems worth writing under the belief that "It's a Classic"
So today on the eve of me buying Romancing with Life, an autobiography of Dev Anand felt compelled to enhance my purview of this man a little bit more. He was not just a great artist and a charming man, but a serious writer too. His way of expressing his true life event in gripping manner was a nice experience till now. I've just started his book and many untold chapters are left to be unfolding in front of me. But then I encountered an article by Mr Murali Gopy about the friendship of Mr Dev Anand & Sir Guru Dutt. Although, I know about great bonding of these two icons of golden era of bollywood for a long time, but I like to stumble back upon these nostalgic years of Indian cinema with zooming from different binoculars & different perspectives. Why I titled this post like this, because I seriously wish that the two friends would have imbibed a little bit of each other into their self. They were totally opposite to each other, In my words, possibly North Pole & South Pole. But more interesting thing was that they were still inseparable, and Dev Anand even before breathing his last reinforced many a times that Guru Dutt was his only true friend in Indian Film Industry. This friendship proves that how unlike poles attract each other. Their friendship blossomed even after the striking difference in their ideologies & notions about life. A friendship blossomed wherein Dev Anand promised him that if ever he produced a film, Guru Dutt would direct and should Guru direct, Dev would play the leading man! Let’s have a close look on both personalities. Guru Dutt-Ever Thirsty, an activist, an extreme one, the Intensified, a cynic, a perfectionist, the most gratifying & unsatisfying craftsman of Indian cinema. Dev Anand on the other hand, a synonym for constant Karma, Infinite energy source, God of Optimism, a Charmer, Smiling Enthusiast, Pioneer of Style in India. I would not like to dwell into the much talked about popular incident of their Shirt-exchanging first encounter which made them life & art buddies. Guru believed in extreme, Success or Failure, Perfection or Pack-up, but no mediocrity at all. Dev believed in optimism, enjoying the process and pathways rather than the destination. So if Guru Dutt song of life is Absolute, Incompleteness in completeness “Yeh duniya agar mil bhi jaye to kya hai”, Dev song is completeness in incompleteness “ Mai Zindagi Ka Sath Nibhata Chala Gaya”. Both have suffered the failure in love. Dev Anand Suraiya was snatched away from him, and Guru’s dream Waheeda was broken half-way. But both have a different way of treating their respective tragedies. Guru has to say, “Jane woh kaise log the jinke pyar ko pyar mila”, And Dev says unapologetically, “ Jo bhi pyar se mila, hum usi ke ho liye”. Guru philosophy was ONE or NONE! Dev philosophy was ONE by ONE! 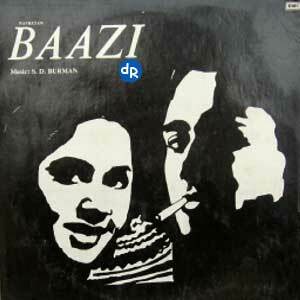 Believe it or not, but their life account resemble to their choice of art in their films & songs. Guru mostly took personal experience to 70mm screen at will, Dev took the same to screen in conscious or unconscious manner. Guru was ever ‘PYAASA’ for completeness and disembarked the fake & hypocrite society which he calls ‘KAAGAZ KE PHOOL’, Dev was his own ‘GUIDE’ for his journey to become an eternal romantic ‘PREM PUJARI’. So their choice of films and stories beautifully resonate their personalities. But sadly, Waqt ne kiya kya haseen sitam ! Guru passed away so young at age of 39. And that too in Guru-style, again on his own terms, finishing the chapter by himself. Dev died 47 years later at the age of 88. Their death also explains their self further. If & only if, Dev would have gave him some of his optimism. And if, Guru had injected some of his perfection inside Dev, What beautiful and artistic blend both of them might have proved. Nonetheless, We are fortunate that both friends had a stint rubbing shoulder to shoulder, which we can store and learn from, whether it’s JAAL or BAAJI to start with. Or, the later productions like CID etc. Both helped each other in whichever way they could as they promised in their early heydays. 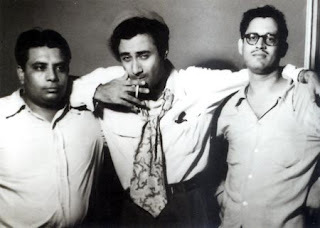 Dev Anand in 1951 gave directorial break to Guru Dutt in BAAJI, and Guru Dutt casted Dev Anand as promised in various ventures as director and producer. They made a good pair together.
" Frankly none of his films satisfied him as a director. He always felt that something was missing from his films." 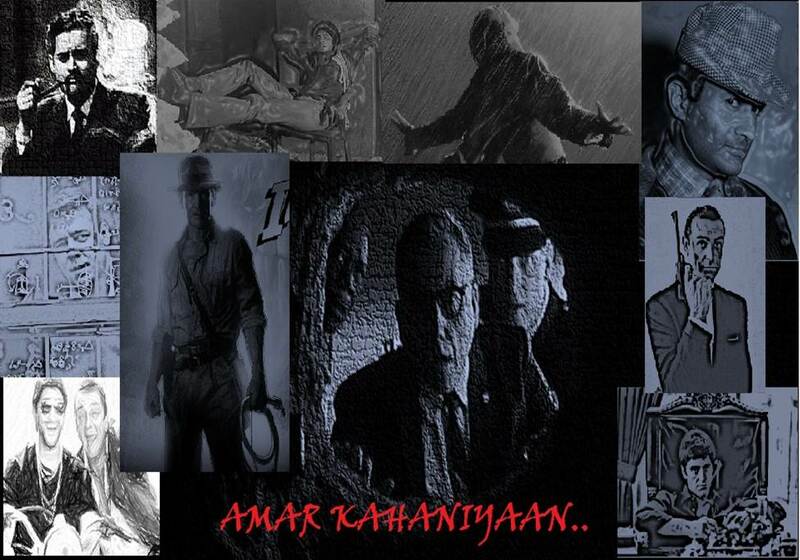 CID : Dev Anand & Guru Dutt Successful venture ! Nice post. I particularly liked your observation that Guru Dutt needed to be a bit more like Dev Anand and vice-versa. They both were amazing film personalities and have enriched Indian cinema in their own way. Thanks Adite! Yes they both were the pioneer of Golden Era of bollywood. Truly gem of an artists. I always imagined Dev as a perfect hero to cast, and Guru as the perfect Director to have, and how amazing their friendship was, TITANIC PALS ! KISHORE, CRAZINESS & ME ! CHARACHTERS STUDY- COMING SOON ! !